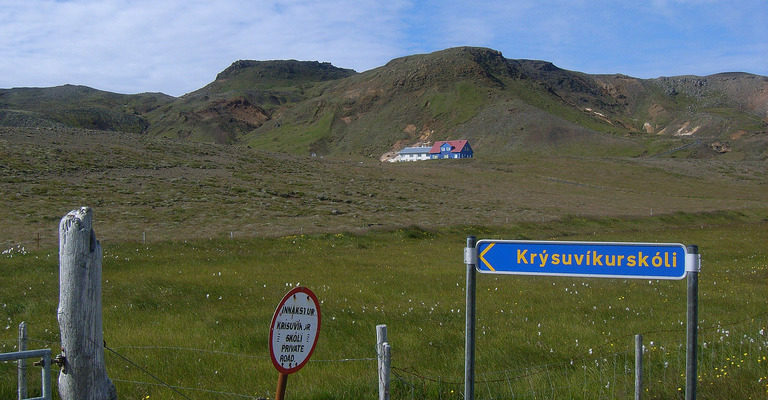 Krýsuvík, ancient manor farm and church now abandoned along with other nearby farms. Much geothermal heat, with drill-holes for possible exploitation. The church was lost in a fire in the year 2010. A special school for young people, a treatment community for the upbringing and education of drug addicts.